Decommissioning & Salvage :: Coda Octopus Products Ltd.
Decommissioning and salvaging projects by nature can encounter serious setbacks due to challenging water conditions, preventing identification of the target site and, in general, lack of visibility in the environment. We have moved the market forward with the innovation of our real-time, volumetric 3D sonar technology which provides real-time 3D visualization of both static and moving objects underwater in zero-visibility conditions. Real-time 3D volumetric sonars produce thousands of sonar beams over a 2D area for every ping. By calculating the range (and optionally intensity) for each of these beams, a complete 3D image per ping can be created. For example, the Coda Octopus patented Echoscope® produces more than 16,000 beams over a typical 50° by 50° area. With ping rates as high as 20Hz, even moving objects can be clearly visualized with real-time 3D sonars. Additionally, combining the 3D sonar data with the sonar’s position and orientation allows every 3D point to be geo-referenced in local or world coordinates. This allows the ping data of static objects to be merged to create mosaics, i.e. full 3D maps, of the scene. Let us help you with your challenging decommissioning and salvaging project irrespective of the environment or prevailing conditions. 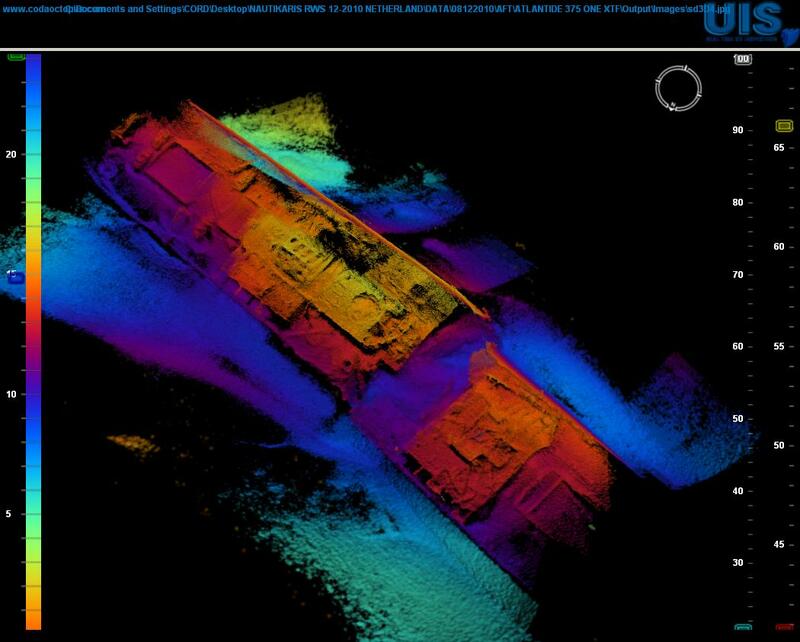 This state-of-the-art technology provides added value to the full breadth of decommissioning and salvaging projects from the initial location and identification of the target site to its critical inspection and mapping, our patented innovative real-time 3D volumetric sonar solutions will provide comprehensive structural details for you to plan and continually assess your operations. Throughout the entire salvage or recovery operation, our innovative solution can be used to monitor the full breadth of all live operations including alerting to safety of unforeseen events (such as unidentified objects or changes), and also provide users a continually updated baseline map for subsequent operational planning. This technology allows users as part of their project deliverables to have a fully-documented timeline of all the critical events and the post-operational map without the expensive task of post processing data. A significant pedigree of customers are currently using this state-or-the art technology and includes commercial and naval salvage experts.